LPS, our strategic cooperation partner is holding a Luxury Italian Lifestyle Reception on December 7 at the JC Mandarin Hotel Shanghai. Our clients are all welcome to attend. This even is by invitation only so please contact us for your individual invitation card. 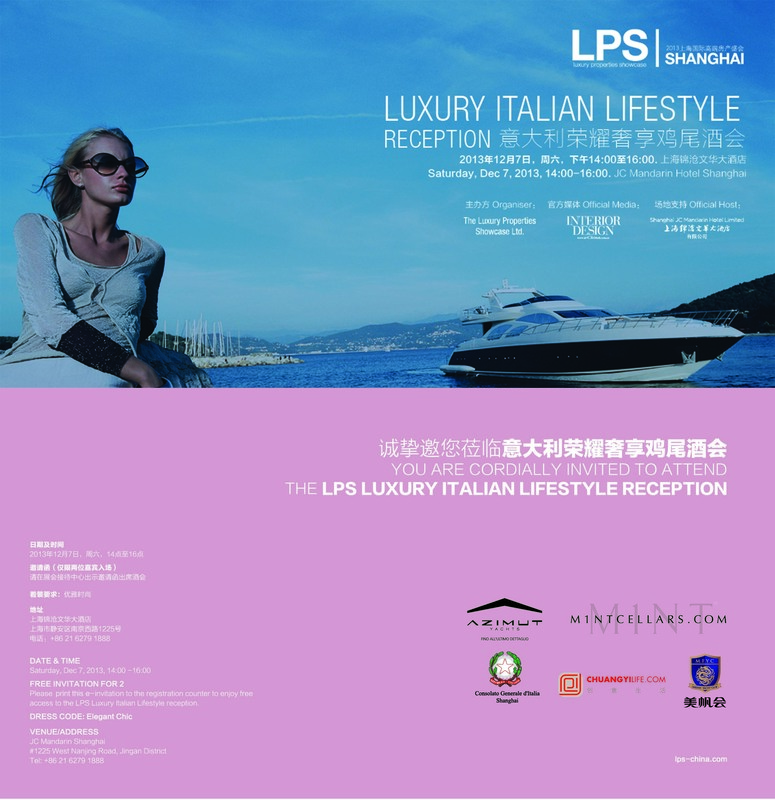 The consul Gerneral of Italy in Shanghai, mr. Vincenzo de Luca will participate in this reception.